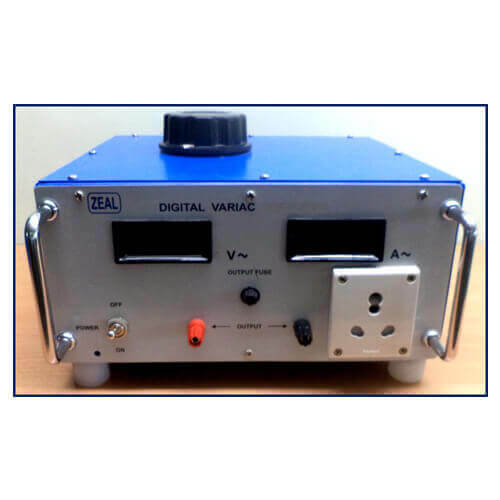 We have carved a niche amongst the most trusted names in this business, engaged in manufacturing and exporting a comprehensive range of Digital Variac. 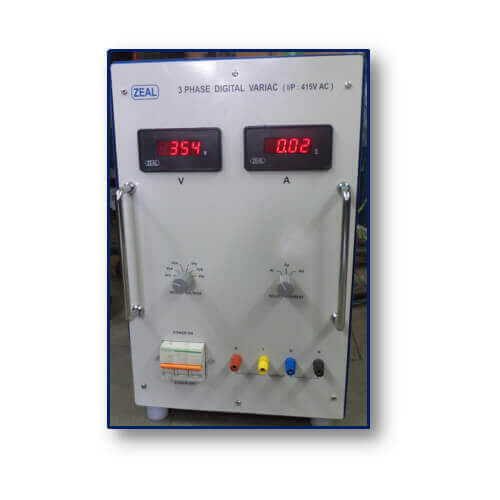 This instrument is specially used for collection and distribution of power supply. It works as transformer and is precisely manufactured by our dexterous professionals with the use of advanced techniques in adherence with international quality standards. To assure its flawlessness, this variac is also tested on defined quality aspects. Moreover, we offer this variac at highly competitive rates to our clients. Output setting by Knob of Variac. Digital Meters Accuracy of voltmeter (with Selector switch to indicate Vrn, Vyn, Vbn, Vry, Vyb, Vbr) and ammeter(Ar, Ay, Ab): 1.5% rdg ± 3 dgt. Overload protection by Input MCCB.